The PTA runs a number of community activities every year. As KPS parents we are all encouraged to be involved in some way in one or more of the activities. 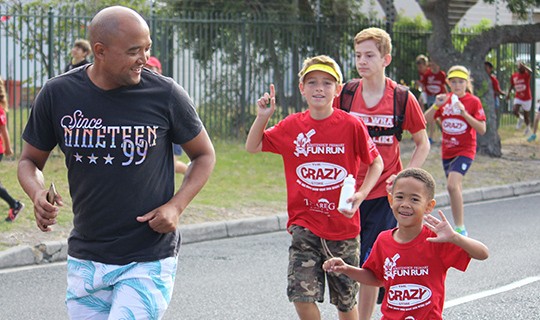 Annual activities always start with the Family Picnic and the iconic Fun Run in the first term. In the second term the PTA hosts a fundraising ‘thon’. In the third term there is usually a cultural activity supported by the PTA as well as the annual Golf Day. The first event of the fourth term is the Mom’s Night Off (aka Dads Camp Out). All activities are supported by our local sponsors. The dates for this year’s PTA activities are available on our D6 Communicator.